Ever seen a runway look that was gorgeous but a bit outside of your comfort level? It’s pretty much how I feel about most makeup, save for a black eyeliner and a bright lipstick. Chicken I am! When I was a teen model in the late ’90s, I missed out on all the fun as that was the era of natural (slightly weathered) beauty. So I thought, can I, now in my 30s, try some of the crazier runway looks without looking clownish? 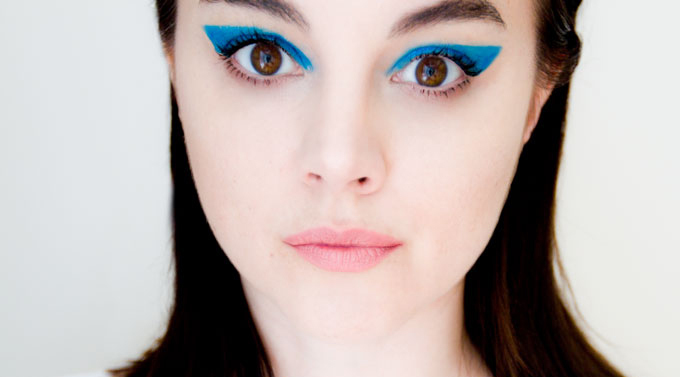 Honor had the most darling look for the Spring 2015 season, with sort of a ’80s punk electric blue exaggerated cat-eye, thus it became my challenge. Inspiration? 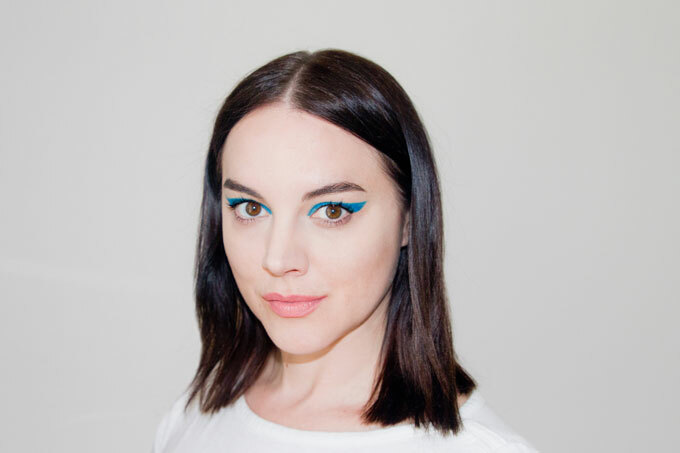 “Debutante falls in love with a George Harrison bad boy and they go on a ‘trip’ together,” explained makeup artist Polly Osmond who used a mixture of Kevin Aucoin’s Loose Shimmer Shadow in Lapis, the Eye Pencil Primatif in Defining Navy and Basic White (launching next summer). I went with two pencils I had lying around the house, priming the eye with Shu Uemura Eye Light Pencil White which is discontinued but you can use something similar like the Creamy Eye Shadow Primer before drawing the cat-eye with NARS Larger Than Life Long-Wear Eyeliner in Khao San Road. 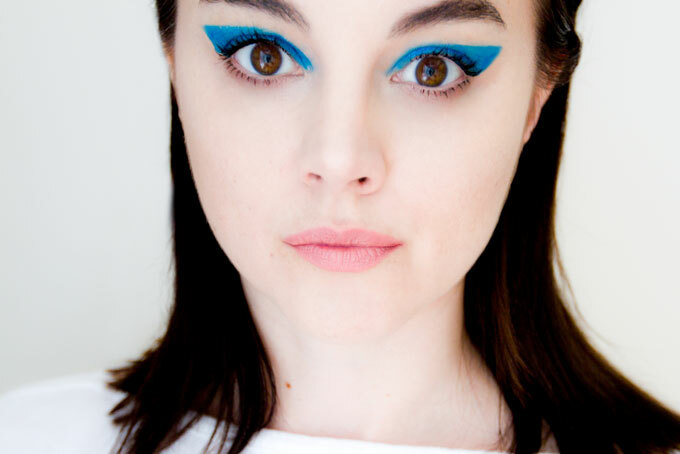 I used Rodial’s Eye Sculpt Eyeshadow to fill my brows and to create a bit more depth underneath the eye. Finally, L’Oreal Paris Voluminous Million Lashes Mascara to cake those doll-like lashes. As for that “debutante” complexion? 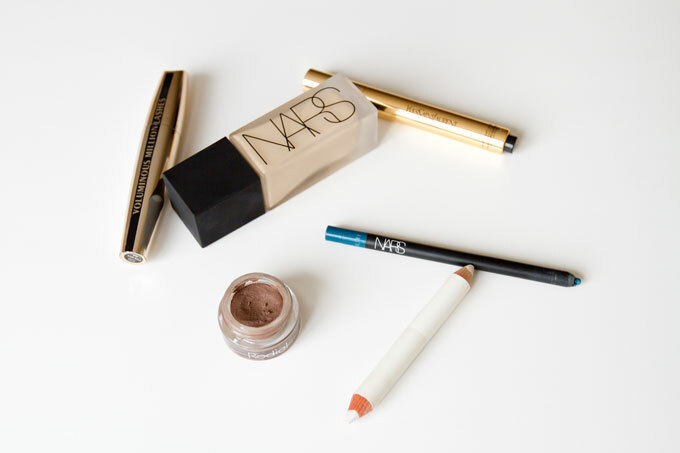 NARS All Day Luminous Weightless Foundation and piles of YSL Touche Éclat. Verdict: I don’t look completely crazy and might consider actually leaving the house like this. Or running away with George Harrison. Have you ever tried something outside of your beauty comfort zone?